I first started playing handbells when I was twelve. I joined The Miami Valley School’s Middle School Handbell Choir as a logical outgrowth of my vocal choir and theatre performances. I continued to play handbells through my senior year of high school with the exception of a misguided half-year break when AP Statistics and Handbells were scheduled for the same period, and I put academics before music. Halfway through my senior year, I switched to playing handbells, as I wasn’t able to focus on academics for other reasons and figured I should at least make beautiful music. In college, I looked around a little for a handbell choir to play with, but I didn’t find one. Life happened, so I stopped looking. I moved to Seattle just over five years ago. After a year, I went visiting several Unitarian Universalist Churches. On my first visit to University Unitarian Church, I knew I had found a congregation that was a home for me. 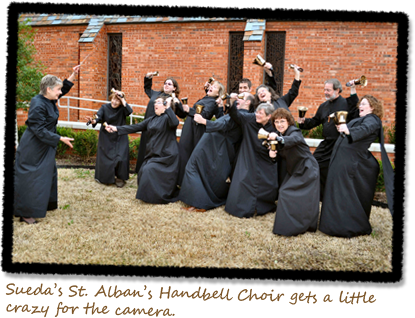 That evening I was browsing the website, and when I found that they had a handbell choir I practically woke up the whole building. I sent an email to the director, she replied, and I agreed to join the handbell choir that night. After not touching a bell for over eight years, ringing as part of a choir was quite difficult and it hurt my brain. I was able to do every individual part of performing: how to ring a bell, how to read music, how to follow a director, how to listen to my fellow ringers, but doing them all at the same time was quite difficult. I stuck with it, and by the end of that year I once again felt that I knew what I was doing. Through my church handbell choir, I learned of a workshop on beginning ensemble skills offered by Nancy Kirkner, a Seattle handbell soloist. I found some of the beginning activities to be quite easy, so Nancy provided me with a few exercises that were a bit trickier. I continued to take Nancy’s classes, and I joined a group that she took to the Area 10 conference in 2010. I had an awesome conference experience and was thrilled by my first massed ringing experience! Near the end of our rehearsal cycle for Area 10, I received an email from Kay Hessemer on behalf of herself and two other ringers from Nancy’s group inviting me to join a newly forming handbell quartet. I joined but was hesitant on spreading myself too thin. I still remember our first few weeks of rehearsals. I played the soprano position and walked out of rehearsal exhausted; my brain hurt, I felt discouraged, and I realized I couldn’t read music as well as I needed to. I took care of the music reading part by getting a music flashcard app for my iPhone. In my many years away from performing music, I lost the ability to look at a note and tell you what note it was. Through all of my handbell experience at church I simply had counted the notes from middle-C, the G of the treble clef, or the F of the bass clef. This worked in standard “Alluredian” assigned choirs where I played two to four notes for the whole piece, but it didn’t work for playing in a quartet, since by the time I counted up from the G everyone else was four measures past that note. You must also negotiate with your fellow players. In quartet music the bell you just played often will be played by another player. (Often I’ll find while I’m sight reading that the bell I’d like to play is in the hand of Jean Leavens, our usual alto ringer. Although, she claims that it’s usually the other way around.) As I’ve worked through pieces we discover many times where we need to work out how we’re going to work on a passage. Perhaps I’ll put down a bell sooner than I usually would’ve because another Jean needs it, or we’ll work out passing bells between players. We also negotiated for access from University Congregational Church to borrow their fourth octave of bells to play alongside the third octave we play on at our usual rehearsal space, St. Dunstan’s Episcopal. In exchange we’ve agreed to play for two of their services per year. Finally, you negotiate with the composer. We’ve found Bach to be a tough negotiator. We’ve worked on Charles Maggs’s arrangement of Bach’s “Bouree II” from English Suite No. 2. We still nervously glance at the tempo marking of 140 beats per minute to the quarter note, but that has been a great challenge and we’ve been able to play it at around 120 beats per minute. We have also looked to add embellishments to some pieces. Right now, we’re working on an arrangement of “Amazing Grace” from 1989. It’s beautiful, but it was arranged before singing bells, so we’ve added a few of those at the beginning and doubled the melody in the last verse. 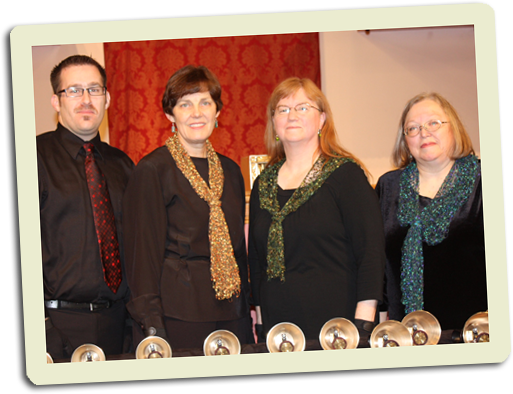 Playing in a handbell quartet is one of the best music experiences I’ve had. I get to engage with music at a deeper level than I ever have before, I’ve cultivated close friendships with three wonderful women who are “slightly” older than me, from three different faith traditions, whom I wouldn’t have gotten to know as well otherwise, and I get to play bells a whole lot more. What else is there? Nicholas Barnard is a Seattle based entrepreneur working on solving musical problems. 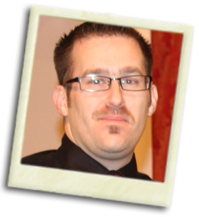 He is a founding member of The Resonance Ringers Handbell Quartet. He also rings in his church’s handbell choir, and he has directs an Intergenerational Choirchime Ensemble at his church with which was founded with the help of Area 10’s choir chime loan program. I owe much of what I am as a church musician to Glenden Sanders, the minister of music during my teen years at First Baptist Church, Lufkin, Texas. He provided tireless support, encouragement, and endless opportunities to all of us who played instruments and/or sang. In addition, he acquired handbells for the music ministry. This was during the earlier days of bells emerging on the church music scene. All the youth ringers learned this coolest of activities together. Not only did we ring for church, but we traveled with the entire youth music program to far off places like Minnesota, Illinois, and Oregon to share our music and participate in mission related activities. After high school, I continued ringing well into my adult years, participating in the handbell choir at whatever church I was serving as organist. When our family moved to the Atlanta, Georgia, area in 1991, the first church that hired me as organist also asked that I direct the bell choir. Although directing was never one of my aspirations, I felt I could handle it since I had been ringing for quite some time. In preparation, I contacted a handbell director friend from another church, and together we attended my first AGEHR event. It was the Area IV Festival/Conference in Charleston, South Carolina. Phyllis Kirk led the massed ringing, and I learned more than I ever thought possible about handbells and directing in a fine array of classes. I saw a handbell quartet for the first time, and found out about those techniques necessary for solo/ensemble ringing. I came home as a much more confident director. I also had the tools I needed to venture into solo ringing shortly thereafter. As a director, I greatly missed ringing, and playing solos was the result. I consider that event in Charleston to be a landmark in my handbell experience, and it was the beginning of a wonderful relationship with the greater bell community. Now back in Texas, I ring with East Texas Handbell Ensemble (ETHE), under the direction of Arnold Sherman. I commute to rehearsals with Brian and Jeanne Christopherson, and the trip to our rehearsal site in Tyler is about five hours round trip for me. Two or three years ago, I had an incredibly busy fall schedule with much extra traveling and responsibilities. “Fatigued” is far too weak a word to describe my condition at that time. The time came for ETHE’s big Christmas program for Tyler’s Community Concert Series. We rehearsed all afternoon that Saturday, both on our own and with several other musicians. When the final break came and we were changing into our performance outfits, I realized I only had 2/3 of my formal concert attire. Since returning home to get the remaining 1/3 was out of the question, I proudly wore my camisole and sheer overlay with my blue jeans. I comforted myself by thinking not THAT many people in the audience noticed. My only request when we later bought new concert outfits was that the ladies’ consist of only two pieces, not three. But wait, there’s more! During the program, as I prepared for the next piece, I thought it odd that the music for it was no longer in my folder. My neighbor was kind enough to move her folder over so I could look on with her. As we played, I wondered why it all seemed so unfamiliar, as if I were sight reading. Of course, I WAS sightreading! For that particular piece, the bells I was mistakenly playing were being covered 4IH style with duplicate bells by ringers an octave below. My assigned position was quite empty and forlorn in the middle of the table. In my defense, I sight read the new part fairly well. (Ahem.) Thankfully, we were accompanying a singalong, so any of my notes that weren’t covered by the valiant ringers next to my vacant position were, again, not noticed by THAT many people. Handbell Musicians of America, be well rested so that you may appear in complete concert attire and play your assigned positions! THAT many people WILL notice! Sueda Luttrell is a native of Lufkin, Texas, and received the Bachelor and Master of Music degrees in Organ Performance from Baylor University. She and her husband, Jeff, reside in Fort Worth and are the parents of two daughters, Meredith and Grace. Sueda’s ringing experience began during her high school days at First Baptist Church in Lufkin. After many years of ringing in various church choirs, she began solo ringing in 1995. 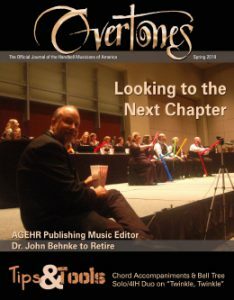 She held the position of Georgia state chair for AGEHR (now Handbell Musicians of America) Area 4 from 2000-2002 and regularly serves as a clinician, conductor, and solo performer for state, area, and national handbell events. She is a published author on handbell related topics, and her solo compositions are published with STEP (Solo To Ensemble Project), Lifeway Press, and Red River Music. Sueda has performed throughout the United States, including presenting the featured solo ringing concert at the 50th Anniversary of AGEHR in Norfolk, Virginia in 2004. 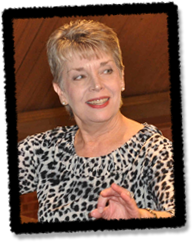 In addition, she was a member of the 2009 Handbell Notation Committee and serves as secretary for Area 9. 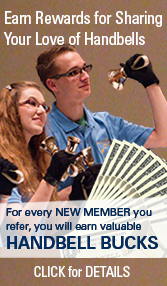 Sueda is a member of the East Texas Handbell Ensemble, under the direction of Arnold Sherman. She is employed as organist/handbell director at St. Alban’s Episcopal Church in Arlington, Texas.